Which countries are in Southeast Asia? The answer is Brunei, Cambodia, Indonesia, Laos, Malaysia, Myanmar, Philippines, Singapore, Thailand, Timor-Lester, and Vietnam. There are 11 countries in Southeast Asia. Now, if you decide to travel in this part of the world, you don't have to go to all of them in one trip especially if you have a limited time. Even they are neighbouring countries, they are very different from each other and honestly takes so much to go around. NOTE: All prices are in USD ($). You may also use the table of contents to navigate faster. Southeast Asia is massive, that's not a secret. So, how much time do you need to explore the entire region? I personally travelled here for 8 months on my first trip then another 8 months on my second time. You can easily spend 2 weeks to a year depending on how much time you have. 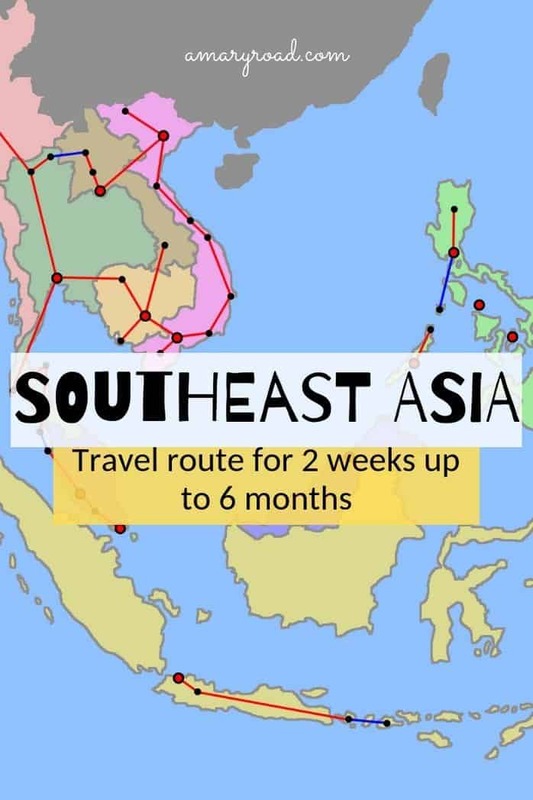 If you only have a few weeks, that's no problem as well, have a taste of Southeast Asia and see if you want to come back later. TIP: To help you map out and prepare for your trip, check this Backpacking in Southeast Asia travel budget ultimate guide includes cost, packing tips, and more! 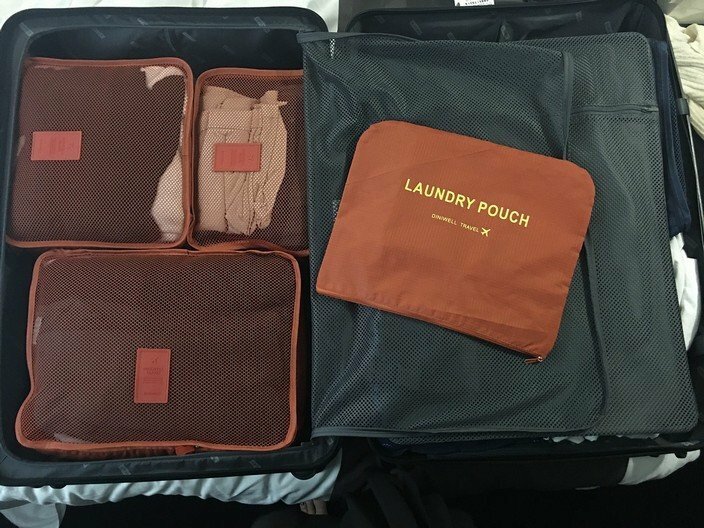 Depending on WHERE you are going and HOW you are going to travel or what they call, your travel style and HOW LONG you are going to travel for is how you can figure out your budget. A lot of backpackers start in Bangkok, Thailand. This is mostly because there are flights directly from Europe (UK, Germany, Spain, Italy, Norway, Finland, and Poland. If your budget permits, fly to the country where you really want to start. Another reason why backpackers start in Thailand is because, there are thousands of travellers here and they have been coming to Thailand for more than a decade now. This makes Thailand a great hub; meet travel companions, there are locals who speak English, there are parties everywhere, Thai food is almost everyone's favourite, and it has beautiful and stunning beaches that even someone who doesn't like the beach that much will say "wow!". Have you heard about the Banana Pancake Trail? 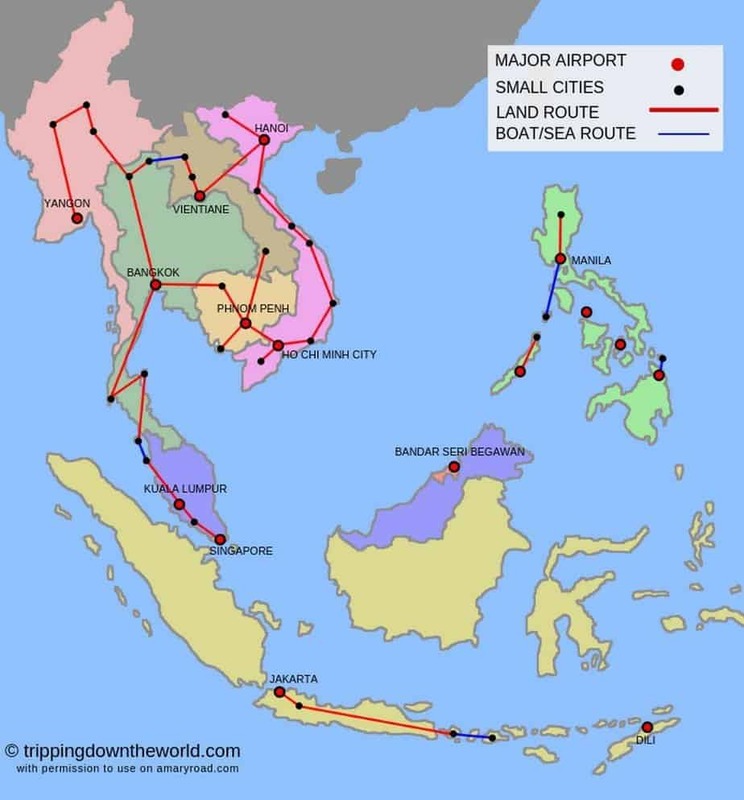 This trail doesn't really have a definite route, this is also known as the Southeast Asia trail. But most travellers will describe Banana Pancake Trail starts in Thailand, then Laos, Vietnam, Cambodia, then back to Thailand - from here, you can decide if you want to go to cross the land border to Myanmar or Malaysia, or fly to the Philippines or Indonesia or Singapore. I personally started in Vietnam, then to Thailand, then Myanmar, back to Vietnam, then Laos, then Vietnam again - I don't really have a trail as you see. Even 2 weeks is not a lot, you can still enjoy Southeast Asia. What you need to remember is to not try to see 4 countries in a span of 2 weeks. Doing this will result in you spending ALL your time in the bus or airports instead of actually enjoying or experiencing each place. With only 2 weeks on your trip, focus in one country and 2 cities/towns/islands only. Having a limited time, you may also want to consider the smaller countries or countries with fewer islands or else again, you will only spend time getting from point A to B. TIP: Here is a great travel guides and information about travelling in Vietnam. If I have my favourite place in Southeast Asia, it would be Vietnam. It's crazy (in a good way). It's super cheap, Vietnam is probably the most affordable in Southeast Asia. In Vietnam, spending 4 weeks or 1 month will let you explore its popular destinations and the parts that are not very known to other backpackers. North to south or vice versa - with 4 weeks in your hand, you can travel the entire country. Most backpackers will either go to the north or head down to the south. In this way, you know that you won't miss anything along the way while you meet travellers who can give you their first-hand experience in the other locations that they have been. 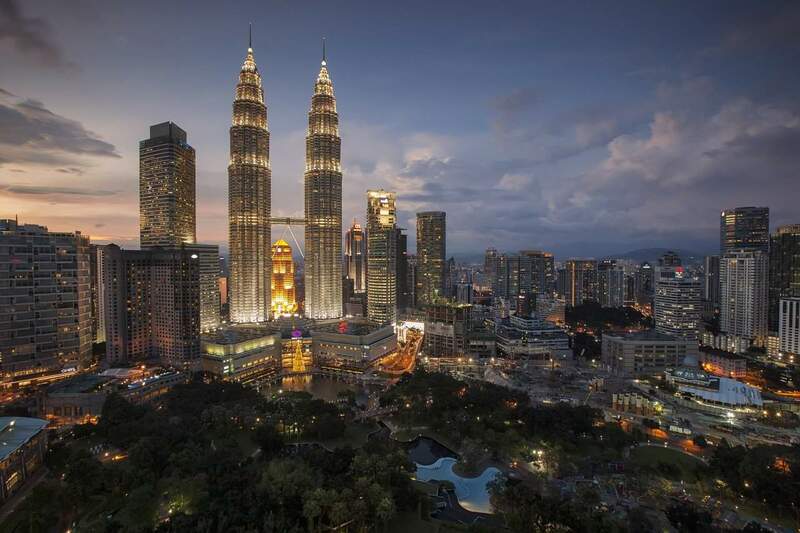 Kuala Lumpur is a great capital city if you love skyscrapers. You can go around the city easily because they have such an amazing transportation system. Langkawi which I mentioned a while ago is a tax-free island. You can rent a motorbike for $5 for 24-hours. A month in Thailand will let you hike its mountains and enjoy its beautiful islands. From here you can easily cross the border to Malaysia or Cambodia. Although Thailand has become a little more expensive than other Southeast Asian countries, it is still cheaper than a holiday in south Europe. Here are the top places you want to explore in Thailand. While there are motorbike rentals in Thailand that will let you rent a bike, it is illegal to do it and will cost a lot of money if you get caught. From any of these places, you can get to either Vietnam, Cambodia, or Thailand. 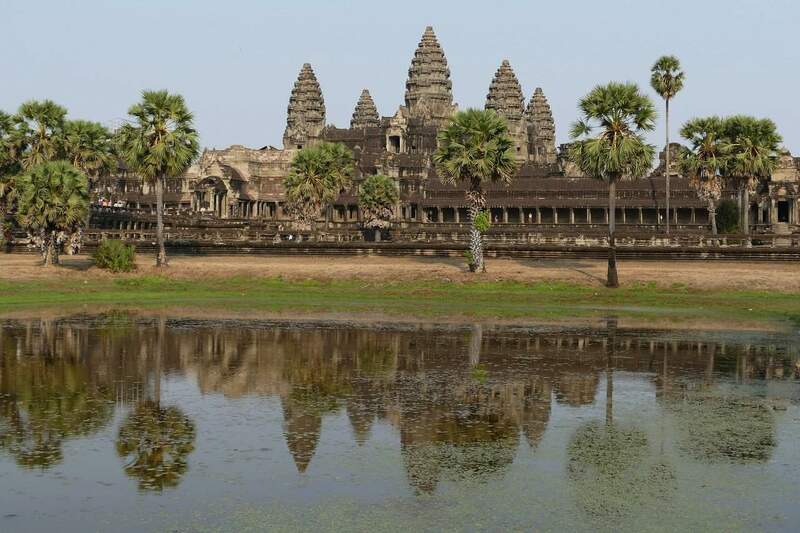 Vietnam and Cambodia - these two countries are land bordered on the south. You can get from Ho Chi Minh City to Phnom Penh is 6 hours on a bus. Vietnam and Laos - if you love mountains, stay in the north of Vietnam and do a border crossing to Laos for more nature and mountains. Although the bus takes about 20-30 hours. Flying is also an option. 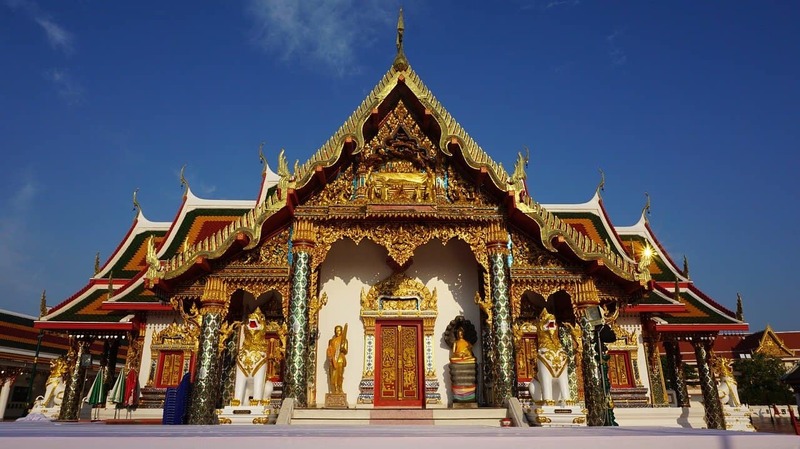 Thailand and Cambodia - This is already a popular choice and the bus journey is only less than 5 hours, not too long unless you get a hangover from partying in Bangkok like me when I crossed the border from Bangkok to Siem Reap. Thailand and Malaysia - crossing from the south of Thailand and entering Malaysia via Langkawi island is a great combination if you really love island hopping. Now, 3 months is a lot of time. However, after you travelled and have used up all your time, it will feel like it was not enough because there is just so much to see. Either you have 3 months, 6 months or more, there is always a place that not many have travelled yet. Some backpackers who headed to Southeast Asia have a lot of time in their hands but not enough budget to keep travelling which lead them in stopping or travelling slower in some places and work or volunteer which is not a problem either. It's a great way to learn more about the new place you just discovered. While if you have the time and budget, this is the route I would love you to consider. Thailand - land or arrive in Southeast Asia here, however, Bangkok is in the middle, therefore, you will be torn between the north and the south which is filled with islands, what I can suggest is, go up north and spend a month exploring the mountains like Chiang Mai and Chiang Rai and do volunteers. From here you can head to Myanmar. Myanmar - you can enter the land border between Thailand and Myanmar. 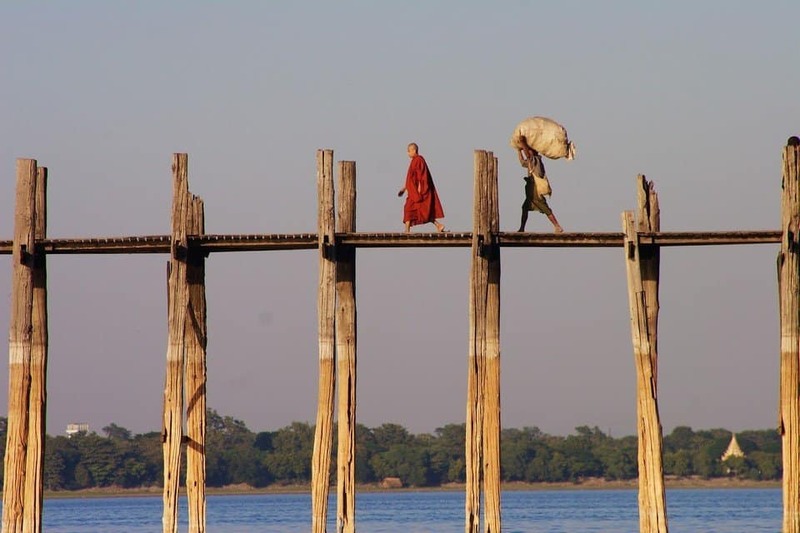 You can explore the beautiful Bagan, trek from Kalaw to Inle Lake, visit Mandalay and other small towns in the North and finish up in Yangon, from here, you can head back to north of Thailand and cross the border to Laos. Laos - which you can enter via slow boat. You can buy a motorbike and drive around Laos if you are feeling adventurous. If not, you can easily travel with buses. Visiting Vang Vieng, Luang Prabang, Vientiane (the capital) and many more places. From here you can take your motorbike, fly or take a bus to the north of Vietnam. 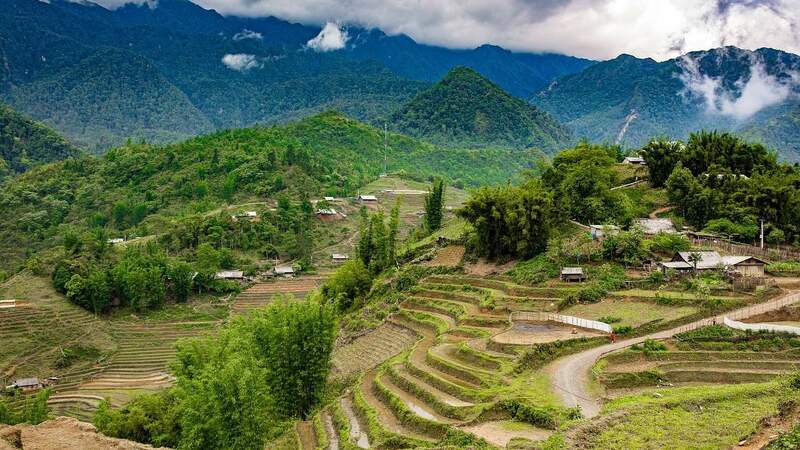 Vietnam - If you are taking the bus, they will more likely to drop you off in Hanoi, if you have a motorbike, you can enter through the most north of Vietnam which is Lao Cai province near Sa Pa where you can hike the highest peak in Indochina called Fansipan. If you have a motorbike bike, you can head down south or take the best night buses in Southeast Asia. If you don't have a motorbike or want to sell yours, you can do it in the popular cities in town throughout Vietnam. In Ho Chi Minh City (Saigon), it's very easy to cross the border to Cambodia. Thailand - unfortunately, you cannot bring your motorbike here. From Bangkok, you can either fly down to the islands or take a bus. From Padang Besar, you can cross the border to Malaysia. Malaysia - and head to Langkawi, the tax-free island, where everything is much cheaper than Thailand. Malaysia can be tricky, it has north to south and west to east. If you have more time, there is no reason to rush, but if you have a limited one, choose which part you'd rather see. 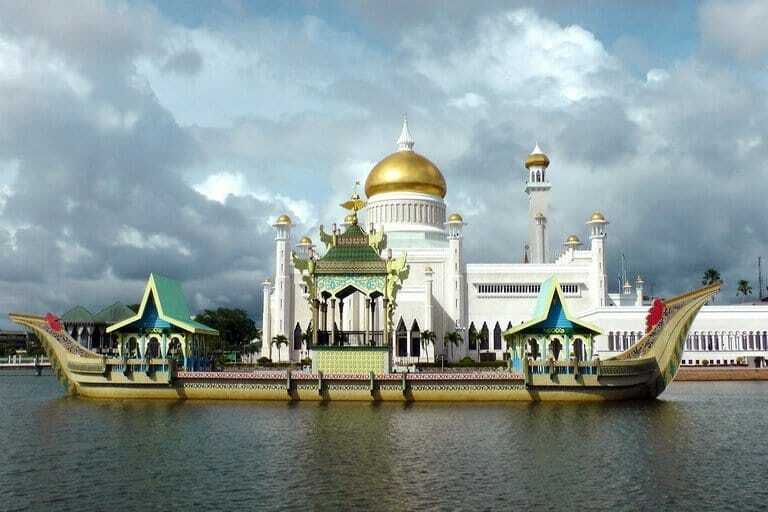 By reaching the south of Malaysia, you will have an easy time crossing Singapore by land. 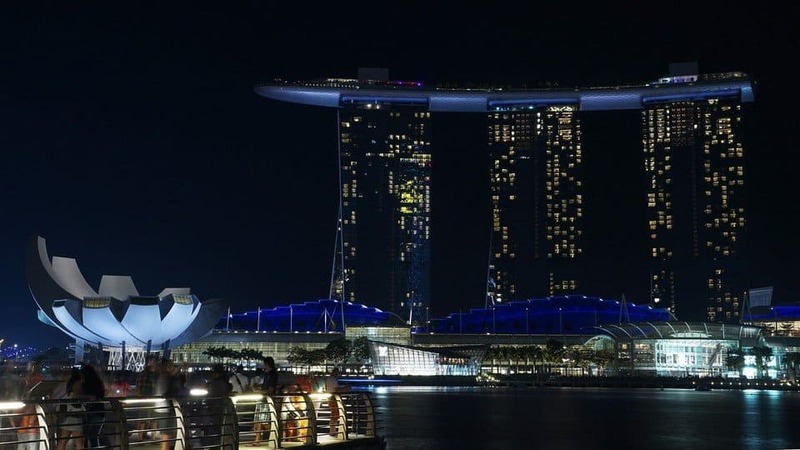 Singapore - an expensive but very fascinating country, make sure you know someone who lives in Singapore or have made enough Singaporean friends before you reach here. If you play your cards well, you can save money by couchsurfing or ask a friend if you can crash their place. One of the few affordable things in Singapore is flying out, Changi airport has many flights to everywhere in the world. 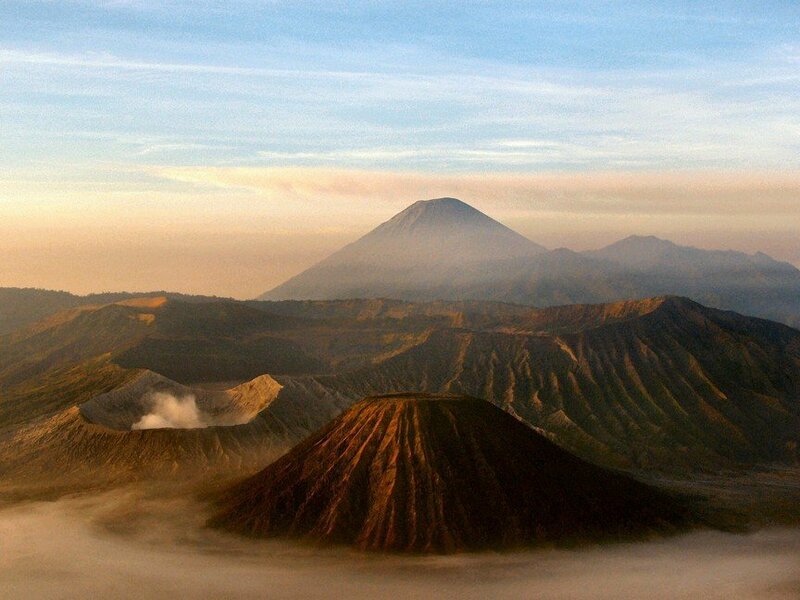 The best is to fly to the Philippines or Indonesia. 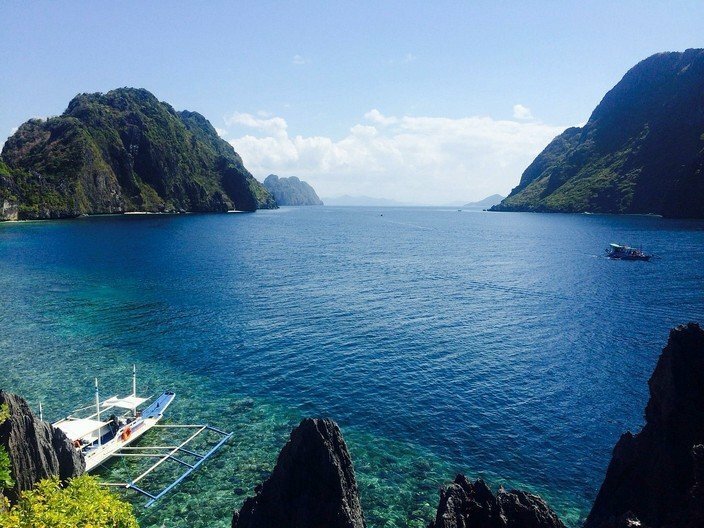 Philippines - you can easily spend more than a month here, however, due to its large number of islands, you will be needing to spend a lot of time using the boat or taking a flight. You can take a bus to the north and enjoy Banaue Rice Terraces and Vigan, then fly to Boracay to party or swim in Palawan or go surfing in Siargao. Leaving the Philippines, you can either fly out of Cebu or Manila to Indonesia, Brunei, or Timor-Leste. Thailand, Cambodia, Vietnam, Malaysia, Indonesia, and Singapore are the top destinations in Southeast Asia. While Laos is also popular, this is mainly because along the way, many backpackers would hear about Laos and it's basically on the way between Thailand and Vietnam. Those who have unlimited time to travel are the ones who normally would consider Laos, which is personally, I think should not be missed. It's less touristy and mostly backpackers are the ones who only go to Laos. It's rich in beautiful nature than stunning cities, it's a place where you want to go if you want to escape the loudspeakers on every street of a city, it's a place where you want to spend more time on a hammock or hiking or simply just on a beach. 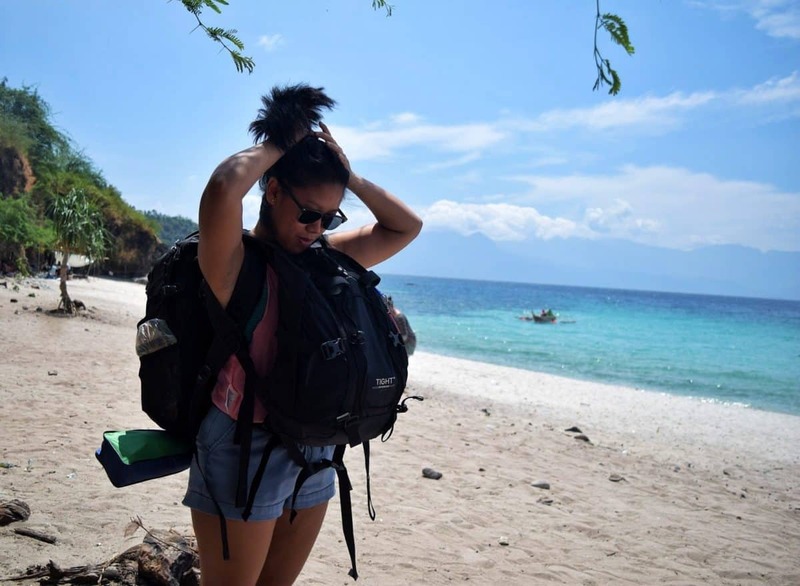 The Philippines is somehow popular, but because of the fact that it's not land bordered to any countries, many backpackers will either skip the Philippines or visit it next time they are in Southeast Asia. If head here, you will notice that mostly couples on their honeymoon, retired Europeans and North Americans, South Koreans and Japanese, or backpackers in their late 20s are the ones travelling here. If we will only talk about the "real" less travelled in Southeast, it must be Timor-Leste, Brunei, and Myanmar. Although, Myanmar is already gaining a massive attention, it's starting to be more and more popular among backpackers. Timor-Leste and Brunei are the two that are truly less popular. Many would argue because there is nothing very special in these two countries while others will say it's because it's too small or they are actually not budget-friendly, plus, like the Philippines, they are not really bordered to any other countries or areas that are touristy making the trip there will cost more money and time. If you join backpacker and traveller's forum on social media like Facebook or Reddit or forum sites like TripAdvisor, there are too many things that they will tell you what to remember and what is something that you should not be bothered about. Let's talk about all of them and you can decide for yourself which one are worthy a wrinkle on your face. Of course, it's always best to get them, but if you are on a budget, I'm sure you want to keep things right at the margin. The thing is, accidents are unpredictable, I never expected or wished to be bitten by a dog in Thailand, but man, it happened and it was scary. Now, if you know that you will spend time around dogs, rural areas, and forests - get that vaccine like rabies, tetanus, hepatitis A & B, and Yellow Fever. These are valid for a few years while others can last for life. I really think it's worth the hassle. If you are on a budget, head to Southeast Asia and get them here as soon as you can, they are super affordable and easy to get. 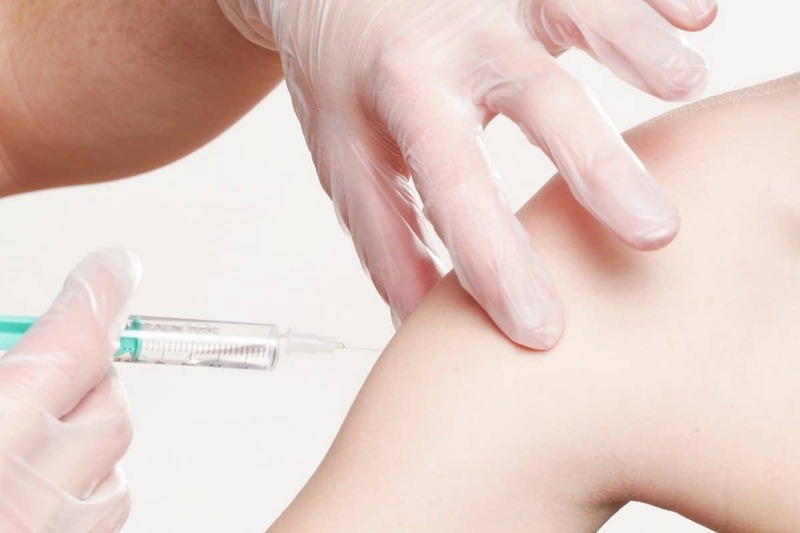 Do a research and make a list of hospitals and clinics who can give these shots and can do the service in English. I had my rabies shot in Thailand which was $12 per shot(total of 5 shots). Compared to Europe, North America, and Oceania, they are a lot cheaper here unless of course, you have a public health in your country. Malaria Pills are one of the most common concern, should you be taking them? I personally did not take any, but I spent most of my time in the city and only did a few very rural area travels. However, remember to consult your GP as well to make sure which shots and pills you will be needing. DISCLAIMER: A Mary Road does not claim any expertise in the field of medication, these suggestions are based on my experience and should not be considered as a professional advice. It is but it can only be cheap if you are willing to be one. Avoid staying in private rooms or taking an organised tour. Take buses, train, and boats instead of flying everywhere. Buy food in the grocery store or eat street food outside. You can also check this Southeast Asia travel budget. Free walking tours are getting more and more popular in Southeast Asia, however, this does not mean that it is completely free. The tour guide will be spending his/her time, sharing knowledge, and taking you around, a tip is encouraged and will be appreciated. Give a tip depending on the guide's performance, length of the tour, and the information you received. If you are having a hard time deciding how much you should give, count how many tour participants and do the Math, if everyone hands over $5 or $10 would it be enough? Many backpackers will not agree about this because Southeast is already affordable. Hitchhiking is also not as popular as in Europe, therefore, your chances to be picked up will be less. The only place I hitchhike was in Myanmar and it was only about 300 kms of 2 rides and only did it for the experience. This region is composed of islands, mountains, and farms. Do your research in each country because all of them poses different weather throughout the year. Who would have known that Vietnam experience cold (drop to zero Celsius) during winter? I surely did not know. Apart from Singapore, where busking is illegal, I don't know any other countries where you can actually be thrown in jail for doing this. However, many expats and travellers will not accept having western foreigners busking from the locals and I agree with it. Many locals of Southeast Asia makes an average of $150 a month or even less, if one has the right to go busking, it's the locals. If you are in real trouble, get in touch with your Embassy or reach out to your friends and families. If you want to travel on a motorbike, you should know that not all Southeast Asian countries will allow this. Only Vietnam, Laos, and Cambodia is where motorbiking is a "thing", even so, you will more or less be driving without a legal permit. Between these three countries, there is a big chance that you can bring your motorbike between borders. Thailand, especially in Chiang Mai, motorbiking is illegal unless you have an international driver's license that has been converted into a Thai driving license. Singapore is definitely a no go, while Philippines, Myanmar, and Malaysia, are sort of so-so. If you head to the Philippines, Singapore, Malaysia, Brunei, and Indonesia, you don't have to worry about the language barrier. These four countries speak English and most of the road signs, airports, restaurants, and other public places will be in English. Thailand, Vietnam, and Cambodia are all melting pots of ESL teachers, if you speak to young locals, there is a big chance that they speak English. You should also have an easy time communicating in English in Timor-Leste. While in Myanmar, young people are getting a grasp of English as well little by little. Southeast Asia is actually very easy to travel, either by yourself or with friends or family. Getting a sim card with data is cheap and fast which basically will solve most of your mishaps on the road. Maps.Me - if you are travelling for a while, get the app maps.me and download the maps for the places you are heading to. This is great if you don't have or run out of data. Visa in Southeast Asia is pretty easy actually. You either get a visa-free or have to apply beforehand but they are easy and quick to get unlike a Schengen Visa or other western countries. You can find more information about visas in Southeast Asia here. That's all I have for this topic, I know it's pretty long but I hope you found something useful. 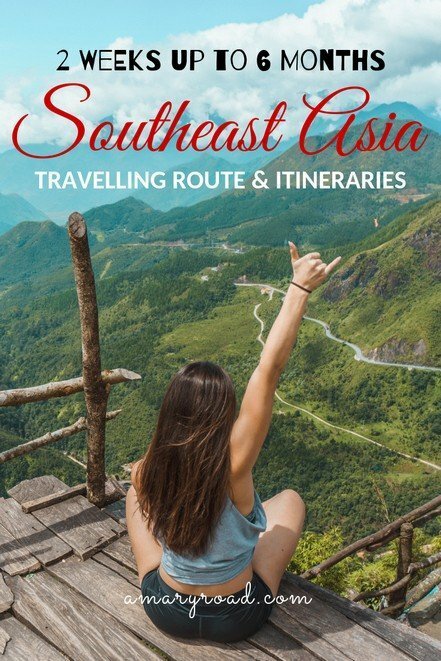 If you have any questions about Southeast Asia travel route, send me an email or message me on my social media platforms. You can also simply leave a comment below.